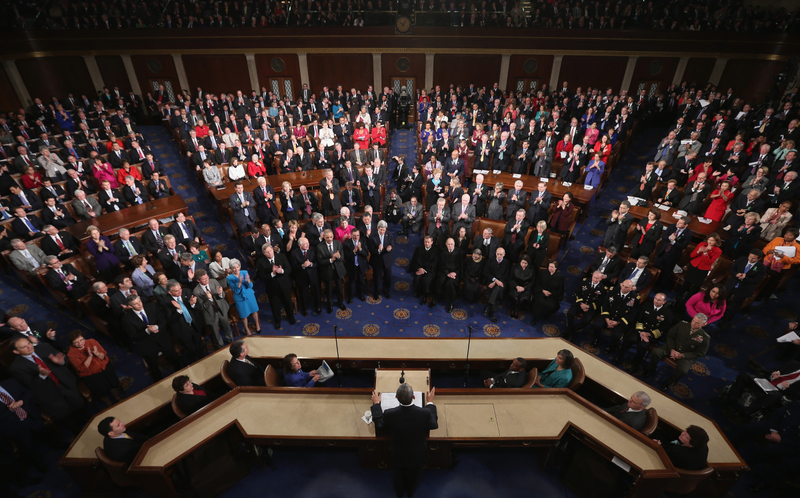 The U.S. split between a wealthy elite and the majority poor is old news. Yet as revelations surface as to who siphons off money for themselves and what happens to the impoverished many, the story continues. 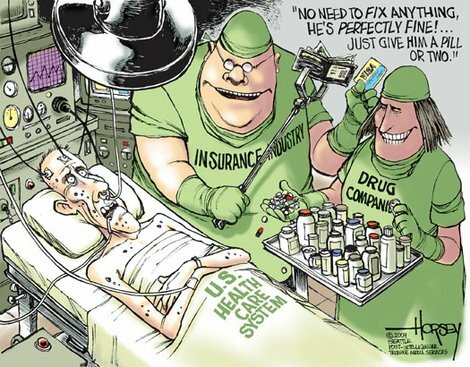 It gets into how governments deal with health care. In that regard, health care for children may serve as a marker for when government programs leave off serving the common good. The state of children’s health is like the proverbial “yellow canary” in a mine shaft whose death warned of toxic gas accumulation. Children are vulnerable, and when problems emerge, they are readily apparent. That’s the case in Florida now. On December 31, 2014 U.S. Circuit Judge Adalberto Jordan announced a decision involving Florida’s Medicaid program and its role in serving child health. Jordan was responding to a 2005 legal action brought by pediatricians, dentists, and nine children on behalf of children enrolled in Florida’s Medicaid program. The lawyer arguing their case insisted that $200 million was needed to fix the program. Judge Jordan cited adverse effects: physicians refusing to care for children served by Medicaid, children going without preventative care, dental care, and screening for lead intoxication. To secure specialty care, children had to travel to other states or to distant cities in Florida. Every year Florida’s Medicaid program removes thousands of recipient children from its roles. Jordon’s ruling applies to large numbers of children. In 2013, 24 percent of Florida children were classified as poor, presumably making them Medicaid-eligible. More specifically, 40 percent of black children and 15 percent of white children were poor. The year before, 11.4 percent of Florida Children had no health insurance at all. Child death figures for Florida’s children suggest health services for low-income children and families are fundamentally flawed. For example, mortality for African American children, whose families are much more likely to be poor than those of white children, is high. In 2011, out of 1000 babies born, 11.5 African American babies died in their first year of life; the comparable figure for white babies was 4.8. Similarly, out of 100,000 children from one to 14 years of age, 35 black children and 27 white children died in 2011. Governor Rick Scott and colleagues drawn from Florida’s wealthy minority have operated Florida’s Medicaid program since 2011. A basic assumption would be that as a program serving the public’s health, Florida Medicaid should prioritize thriving and survival for all children. Judge Jordan’s findings suggest that goals for the program are otherwise, or that its administration is incompetent. Governor Scott is an experienced health care administrator, but what about his priorities? During Scott’s tenure as CEO of the massive Columbia/HCA health care corporation, the U.S. government convicted 14 of his underlings on charges of fraud. His corporation paid a $1.7 billion fine. The Tampa Bay Times reported that, to avoid incriminating himself, Scott pled the Fifth Amendment 75 times during the course of depositions related to the case. He resigned in 1997, spent a few years as a “venture capitalist,” and then turned to politics. In a financial disclosure statement released at the end of his successful 2014 gubernatorial campaign – his second – Scott reported a 2013 net worth of $132.7 million. Additionally, “three members of the state cabinet (…) reported a net worth of $10.95 million.” With Scott and his team attending to their personal wealth, the suspicion is that children’s health was never their foremost concern. In this sense, Judge Jordon’s epoch ruling on the Florida Medicaid program evokes an oil and water difference between the interests of two social classes. If that is so, then remediation of problems with Florida Medicaid – the cure – rests ultimately on achieving big changes within U.S. society such that all children survive and live in dignity. The health care part of that agenda would entail a universalized health-care endeavor or a national health service. Such ambitious thinking rests on unified struggle by the many, which is not presently in the cards. In the meantime, however, what is to keep healthcare activists buoyed up by Judge Jordan’s decision from taking incremental, consciousness –raising steps as they look toward healthcare for us all? Yves here. This post makes an important and simple point about one big source of the fall in the relative importance of corporate income as a source of Federal tax revenue that is often ignored in official discussions: the rise in the use of pass-through entities. An older theory was that, generally speaking, you could get the benefits of limited liability and pass through treatment only if you were a small fry. The S corporation election was meant to promote entrepreneurial activity. If you want to be a partnership and get the tax bennies, fine, but you have to live with the risk of unlimited personal liability. The use of limited liability corporations started to pick up steam in the later 1990s (I recall asking my regular attorney about converting to an LLC in 1997 and she though they were too untested legally to be worth the risk) and are now common. And the impact over time of this change, as well as the use of other tax-reduction strategies, has been significant. In 1952, corporate income tax provided 33% of total Federal tax receipts. By 2013, it had fallen to 10%. The effective corporate income tax rate is almost exactly the same in the United States as in other OECD countries. (While the U.S. statutory corporate tax rate is well above the OECD average, the many loopholes in the U.S. corporate tax bring the effective rate down substantially.) Then how is it that corporate taxes account for a much smaller share of GDP in the United States than in other high-income countries? The answer lies in forms of incorporation that allow U.S. corporate profits to be taxed at the lower individual income tax rate. Two changes paved the way for more and more profit to escape the corporate income tax in the United States. The federal government extended limited legal liability, which protects owners from losing their personal assets if their business fails, to some partnerships and “pass through” corporations not subject to the corporate income tax. Then the tax reform of 1986 cut the top tax bracket of the individual income tax to 28%, well below the statutory corporate income-tax rate. That opened up a large tax advantage for owners who paid individual income taxes on their profits instead of corporate income taxes. Pass-through businesses—-S-corporations (which afford up to 100 owners limited liability), partnerships (including limited liability partnerships in which all the partners enjoy limited liability), and sole proprietorships—-have flourished over the last three decades. In 1980, corporations subject to the corporate income tax (called “C-corporations”) generated nearly four fifths (78%) of business net income, a measure of a business’s profitability. By 2007, pass-through businesses’ share of net income surpassed that of C-corporations. In fact, partnerships, S-corporations, and sole proprietorships each outnumbered C-corporations. That was not the case in other high-income countries. 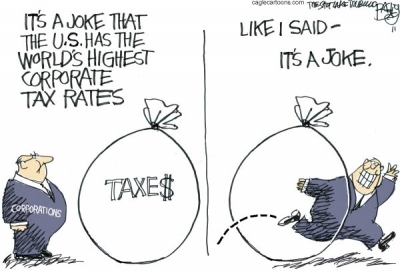 In 2004, for instance, nearly two-thirds of U.S. businesses with taxable profits over $1 million were not subject to the corporate income tax. Meanwhile the next-highest share among large, high-income countries belonged to the United Kingdom, with just 26%. The three-decade decline in the corporate share of net income, enabled by the rise in pass-through businesses with limited liability, has eroded the tax base for the U.S. corporate income tax. That explains how U.S. corporate income tax receipts as a share of GDP (2.3% in 2011) were able to drop well below OECD average (3.0% in 2011), even while the U.S. and OECD effective tax rates on corporate income were nearly identical. Today, the majority of business profits are taxed at an even lower rate than that imposed by a corporate code riddled with loopholes. A thorough-going reform of taxes on profits must therefore not only close loopholes in the corporate income tax but also no longer extend limited liability to businesses that don’t pay corporate income taxes. With the profits of S-corporations and limited liability companies added to its base, the corporate income tax would be extended to at least another one-fifth of business net income. No longer extending limited liability to millionaire owners of S-corporations and limited liability companies, by itself, would add more than one-tenth of business net income to the base of the corporate income tax. Jamie is PO’d. He’s fed up with all of this populistic attitude that’s sweeping the country, and he’s not going to take it anymore! 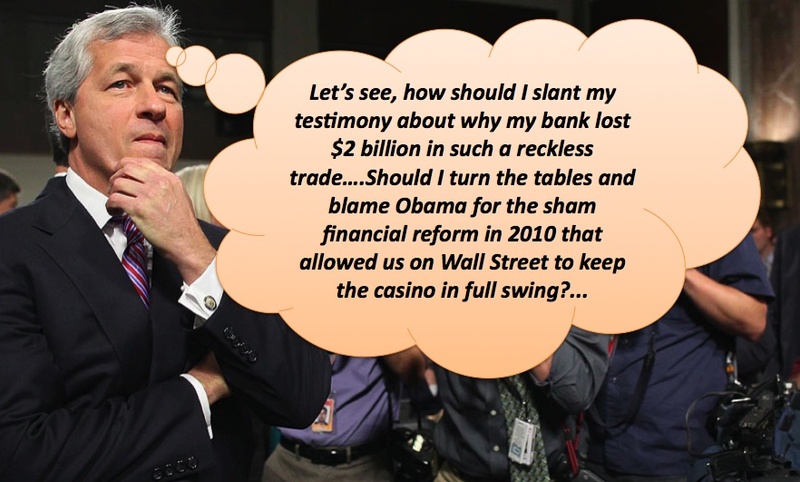 Jamie Dimon recently bleated to reporters that, “Banks are under assault.” Well, not most banks, but JPMorgan Chase, America’s largest Wall Street empire, which Jamie heads. Government regulators, snarls Jamie, are pandering to grassroots populist anger at Wall Street excesses by squeezing the life of JP Morgan casino. But wait – didn’t JPMorgan score a $22 billion profit last year, a 20 percent increase over 2013 and the highest in its history? And didn’t those Big Bad Oppressive Government Regulators provide a $25 billion taxpayer bailout in 2008 to save Jamie’s conglomerate from its own reckless excess? And isn’t this Wall Street popinjay raking in some $20 million in personal pay to suffer the indignity of this so- called “assault” on his bank. Yes, yes, and yes. Well, golly, one reason Chase has half-a-dozen regulators on its case is because it doesn’t have “an issue” of illegality, but beaucoup illegalities, including deceiving its own investors, cheating more than two million of its credit card customers, gaming the rules to overcharge electricity users in California and the Midwest, overcharging active-duty military families on their mortgages, illegally foreclosing on troubled homeowners, and … well, so much more. So Jamie, you should ask yourself the question about “how fair” is all of the above. Then you should shut up, count your millions, and be grateful you’re not in jail. “Morgan Chase Chief Says ‘Banks Are Under Assault,'” www.nytimes.com, January 14, 2015. “Tracking the $700 Billion Bailout,” www.nytimes.com, 2015. “J.P. Morgan Adds $206 Billion to Its $25 Billion Plus Tally of Recent Settlements,” www.wsj.com, January 7, 2015. Yves here. Nicholas Shaxson’s landmark book on tax havens, Treasure Island, described how the US was the biggest sponsor of what Shaxson called “offshore,” or tax havens and tax secrecy. He tells us how the US is working to keep it that way. By Nicholas Shaxson. 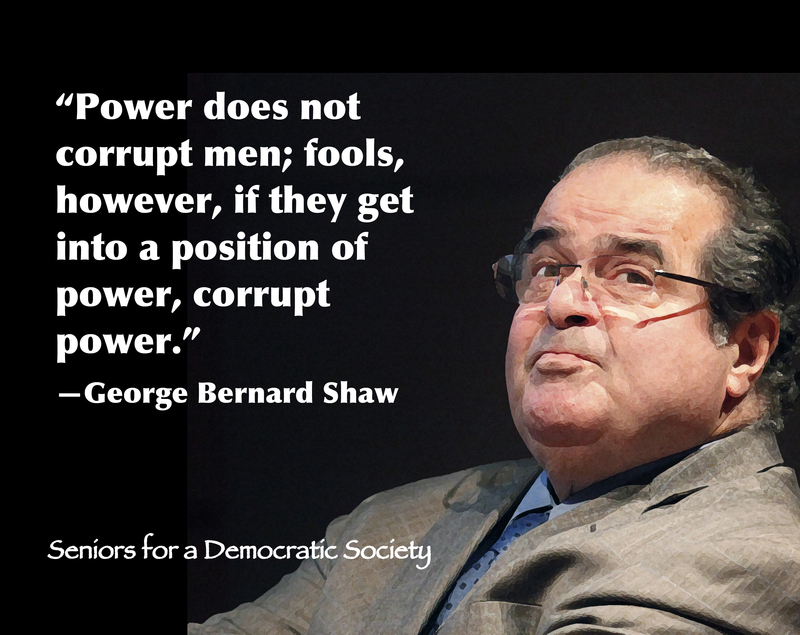 Adapted from a post by the Tax Justice Network. If people stash their wealth or earn income overseas, that is just fine — as long as their tax authorities get the information they need to tax that wealth or income according to the law, and as long as money laundering and financial crimes can be effectively tracked, and so on. Where there are cross-border barriers to legitimate tax collection, law enforcement and other instruments of democratic societies, then there is an offshore problem. The only credible way to provide the necessary information is through so-called automatic information exchange (AIE), where governments make sure the necessary information is available across borders, as a matter of routine. For years, those who advocated AIE were ignored or even ridiculed. Pie in the sky, many said. The OECD, the club of rich countries that dominates international rule-making on tax and tax-related information sharing, was for years pushing its so-called Internationally Accepted Standard which was, well, the internationally accepted standard for cross-border information exchange, despite being only slightly better than useless. In the past couple of years, however, the world has turned. The OECD is now in the middle of putting in place a system – known as the Common Reporting Standards (CRS) – to implement automatic information exchange (AIE). The CRS is the first ever potentially global system of AIE, and although it has serious shortcomings and loopholes, it is potentially a major step forwards from a largely transparency-free past. But – and here comes a big ‘but’ – how do these different initiatives mesh together? Might anything fall between the cracks? The European Union, for its part, seems to be working hard and in fairly straightforward fashion to get its ducks in line with the CRS, the OECD’s emerging global standard. It will be incorporating a lot of the OECD technical standards into EU law, in cut-and-paste fashion, and will add categories to include in the mix: such as covering the all-important insurance sector more comprehensively than the CRS does, and covering other categories of income and capital including income from employment, directors’ fees, pensions, and ownership of and income from immovable property. But the United States’ position on meshing FATCA with the global standards? Well, now there’s a story. With statements such as this, he managed to get himself some serious anti-tax haven credentials, at least from a public relations perspective. 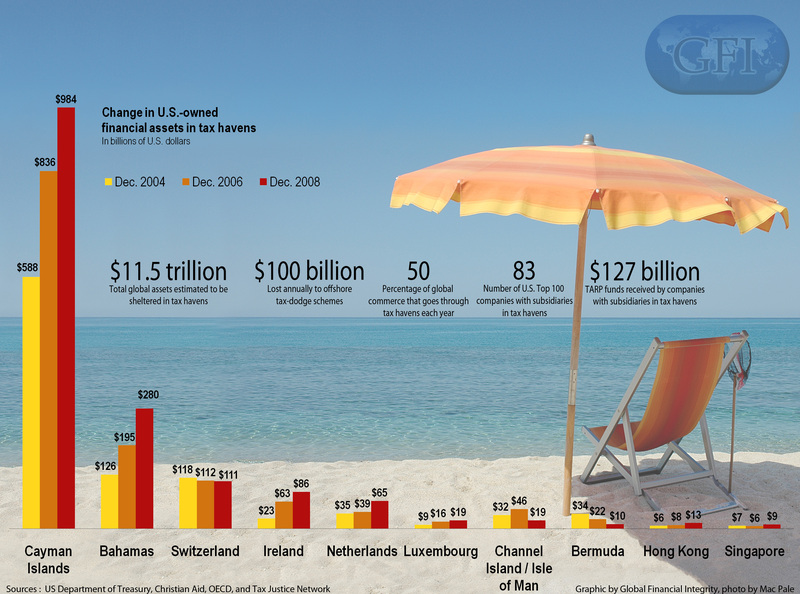 But how has the Obama administration shaped up on tax havens since then? Well, in the details of the emerging global architecture on tax and financial transparency lies an issue – we’d go so far as to describe it as an international outrage – that is likely to tarnish his legacy seriously. A failure to tackle this will make many wealthy people wealthier and poorer people poorer, and will undermine crime-fighting, in the U.S. and around the world. The U.S. position on the emerging global transparency architecture has basically been to say ‘we are doing our home-grown FATCA project, and it’s technically similar to the OECD’s CRS, so we don’t need to join the CRS.’ Which, at first glance, looks like a position that could be defensible, depending on the detail. A crucial part of the detail, however – and this is where the vortex starts to come in – hangs on the all-important question of reciprocity. The United States is extremely keen for other countries to pony up information about U.S. taxpayers hiding their cash offshore and overseas – as it should. But when it comes to reciprocity, or providing information in the other direction, things change. “A full commitment to reciprocal and automatic, multilateral information exchange, backed by legislation to ensure beneficial ownership information is available, has been replaced by an indication that the United States will seek to provide information in the few bilateral Foreign Account Tax Compliance Act (FATCA) agreements that require it, for which the United States accordingly commits to ‘advocate’ for domestic legal changes that would create the necessary beneficial ownership transparency. Now that more information, source material, and details, is available, matters look worse still. The precise details of what the US is offering are alarming. The United States is already a tax haven for foreigners, as outlined in detail in the “Fall of America” chapter in my book Treasure Islands, and, more recently, here. To achieve effective reciprocity with other countries the U.S. would need to tighten up its rules considerably, and in numerous ways. The U.S. Treasury’s Financial Crimes Enforcement Network (FINCEN) seems to be taking a lead on some of the internal stuff to prepare the ground for international co-operation, with new rules entitled “Customer Due Diligence Requirements for Financial Institutions.” Here we get into the weeds a bit. Our emphasis added. The first thing to notice is that these are just proposals. To get approved, they’re going to have to get this lot past Senator Rand Paul, the combined lobbying power of the Big Four accounting firms and Wall Street and Florida banks, and a host of other vested interests. Then there are the loopholes larded through this document. There are no plans to cover these chaps as yet. And this is a problem: in many countries insurance policies, for example, are classic tax evasion and secrecy vehicles — and they’re already carved out. Our emphasis, again, added. Trusts are a matter of astonishing complexity, slipperiness and importance in the world of offshore secrecy. The world of offshore trusts is a multi-headed hydra, and through these vehicles it is possible to achieve levels of secrecy that are at least as strong as the traditional Swiss banking kind. Translation: we’ll accept a complete whitewash of everything in the past, because it will be a “burden” on those poor, belaboured financial institutions. And stuff that’s still going on won’t be covered if the account in which it’s happening was opened before then. Oh, and for now there is no “implementation date”, anyway. Wouldn’t it have been nice if Fincen could at least come up with something strong, then expect it to be watered down at a later stage of law making? But no: they seem to be hobbling themselves from the outset. Is Fincen even trying? 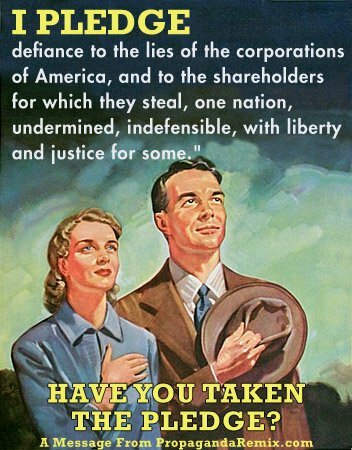 And even then – if Fincen were to close all these loopholes and obtain all this customer information, it doesn’t seem clear that it would be authorised to pass it on to the U.S. Internal Revenue Service (IRS), which would be the body that would be mandated to hand over the necessary information to foreign governments that need it to tax or police their wealthy citizens and criminals. A Europe-based expert we spoke to went as far as to describe the U.S.’ adherence to the emerging global transparency standards, just based on what this Fincen document says, ‘farting in the wind.’ This document shows that the US is currently unable under its domestic law to reciprocate with information exchange, because its banks are not required to collect the necessary beneficial ownership information. The U.S. government acknowledges the need to be reciprocal. That’s nice. But will it be reciprocal? Turn to Article 2, and you get a picture of what the U.S. may obtain from other countries, versus what other countries may obtain from the U.S. Here’s a summary of some of the differences, from Andres Knobel of the Tax Justice Network. Take Germany, for instance: look at how thin the US banks’ reporting obligations are about Germans, compared to German banks’ reporting obligations about US persons. You get the picture. A comparison with more details is available here. Oh, and then there is the problem that only some countries, but not others, have signed or committed to sign these IGAs. 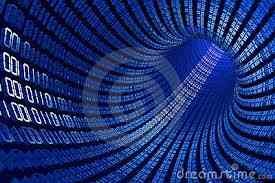 “after the current round of IRS budget cuts there is no way the United States could implement Information Exchange. Without the people nothing the law says really matters. Loophole USA: the big one. Will the OECD and its member states – not to mention developing countries – wake up to these issues? And will the United States itself realise that if it doesn’t play ball, others won’t want to play either? If not, the world’s wealth will flood more upwards and out of sight rather more rapidly than it would have done. That’ll be quite a legacy for President Obama. This post originally ran on Robert Reich’s Web page. Do we really need reminding about what happened six years ago? The financial collapse crippled the middle class and poor — consuming the savings of millions of average Americans, and causing 23 million to lose their jobs, 9.3 million to lose their health insurance, and some 1 million to lose their homes.A repeat performance is not unlikely. Wall Street’s biggest banks are much larger now than they were then. Five of them hold about 45 percent of America’s banking assets. In 2000, they held 25 percent. Wall Street also supplies both administrations with key economic officials. The treasury secretaries under Bill Clinton and George W. Bush – Robert Rubin and Henry Paulson, respectfully, had both chaired Goldman Sachs before coming to Washington. That means proposing to limit the size of the biggest Wall Street banks; resurrect the Glass-Steagall Act (which used to separate investment from commercial banking); define insider trading the way most other countries do – using information any reasonable person would know is unavailable to most investors; and close the revolving door between the Street and the U.S. Treasury. Yves here. As we and others have discussed at some length, the concern over Social Security funding is vastly overhyped. As Nicole Woo discusses in this Real News Network interview, one simple fix, that of eliminating the cap on who is subject to the tax, would solve most of the gap that is anticipated in long-term projections. And the Social Security tax as now constituted is regressive and thus promotes inequality, so lifting the cap also moves the tax system toward being more progressive. That’s before we get to the MMT issue that “taxing” to fund any government activity is a political mechanism that is a holdover from the gold standard days, and not how government functions are funded operationally. In fact, with more and more promised pensions being slashed, and investment returns flagging thanks to QE and ZIRP, the notion that ordinary people can save enough for their retirement is a chimera. Thus preserving and strengthening Social Security is more important than ever. It’s a new year, and if you’re one of those early birds, you’ve started on your taxes. But did you know that if you earn more than $118,500 year, the government can’t tax those earnings under the Social Security tax, which is also known as the payroll tax cap? That means that someone who makes twice the cap this year pays the tax on only half of his or her wages. It’s a big issue, considering the future of Social Security is continuously being debated in Washington. Our guest today is Nicole Woo. She is the director of domestic policy at the Center for Economic and Policy Research in Washington, D.C. Her new paper is titled Who Would Pay More If the Social Security Payroll Tax Cap Were Raised or Scrapped? Thank you for joining us, Nicole. WOO: Thank you for having me. DESVARIEUX: So, Nicole, let’s start off with that question that you pose in your paper. Who would actually pay more if this tax cap were raised or scrapped? WOO: Well, we looked at the numbers, and it comes out to the top 6 percent, six out of 100 Americans. So the people who are at the very top of the income scale are the only folks who would have to pay more if this payroll tax cap were raised or eliminated. DESVARIEUX: And how high would that payroll tax cap have to be raised? WOO: Well, there are different proposals out there. There are some proposals to eventually slowly phase the cap out entirely. And that would mean that the wealthiest people among us would pay the same rate as the rest of us, which seems kind of fair. If they were to do that, if Congress were to pass a bill like that, the Social Security shortfall that we’ve seen in the future would be reduced by about 70 to 80 percent. There are some other bills in Congress that would raise the cap a little higher or a little higher, still shielding the highest incomes from the tax. So there are different proposals out there, but they all kind of look at the same thing, and that’s trying to get some more inequality in the rate that regular people pay versus the wealthy. DESVARIEUX: But should we really be concerned about Social Security, since it’s solvent and currently has close to $3 trillion in its trust fund? WOO: That’s right. Right now the Social Security trust fund does have a lot of money in it. And that’s because back in the ’80s Congress and the president back then decided that they saw the baby boomers coming. It wasn’t a surprise. And they decided to sort of pre-fund Social Security. So since 1983, workers, American workers, have been putting more into Social Security than has been coming out. It’s their money that’s in the trust fund. What has happened since the ’80s is actually inequality has increased. So more and more of the wages in this country are above the payroll tax cap–they’re above what’s right now $118,500. That cap has been moving up with inflation every year. But as the income gaps have gotten wider, more and more of the wealthy’s income has been shielded, which is part of why the trust fund isn’t quite as big as we needed it to be. However, right now, with the $3 trillion, Social Security will be fine until about 2033. After that point, Social Security will be able to pay about three quarters of the benefits promised, and nobody wants to see a cut of 25 percent. But that’s still significant money. It’s not like Social Security will just stop paying immediately. If nothing were to be done, then people would still get checks, but they would only be about three-quarters of what they were expecting. DESVARIEUX: So, Nicole, are you saying that if we were to do away with this cap, then we wouldn’t run into that issue? WOO: As I said earlier, one of the bills, some of the bills out there that were in the last Congress would slowly eliminate the cap entirely, and that would take care of 70 to 80 percent of the shortfall. There are some other bills that raise the cap, like, from 118,000 to 250,000 or to 400,000, and that would mean people would pay the payroll tax, but not on all of their income for the wealthiest, who would just capture some of the highest incomes. And, of course, those bills would take care of less of the shortfall. But certainly, as people talk about ways to shore up Social Security, this is one of the most effective ways to take care of it. And, again, it’s about fairness. It’s about making sure that all workers pay the same rate in their Social Security taxes. DESVARIEUX: Nicole, can you just speak to specifically which lawmakers are supporting these types of proposals? WOO: Well, we are in a new Congress now, but in the last Congress, Senator /pɑːrkɪn/, who has since retired, and Senator Begetch introduced some bills, as well as Senator Sanders. On the House side we had representative Gwen Moore, Linda Sánchez, Ted Deutch, Peter DeFazio, and some others I probably forgot, but all Democrats at this point. I don’t think there are any Republicans on those bills. DESVARIEUX: Okay. So who do you see as being the largest opponents to these bills? And what’s really their interest? WOO: Well, I’m not a mind reader, but from what they’re saying, there’s a split. A lot of Democrats are saying that Social Security needs to be expanded, that especially after the financial crisis we went through, where people’s home prices crashed, they lost their homes–a lot of people’s social security stayed, but their retirement accounts, their 401(k)s and IRAs crashed along with the stock market. That Social Security is even more important. And with the unemployment rates we’ve seen, more and more people don’t have savings as they’re going into retirement. So there are a number of Democrats who think we should reduce or eliminate the payroll cap, not only to shore up the fund, but also to perhaps expand it a bit and give people a little bit more security in retirement. And that’s pretty much the Democratic view. On the Republican side, there is a lot more talk about cutting benefits, saying that retirees are spoiled or there might be fraud in the program. And so they’re interested in just cutting benefits rather than increasing the revenues into the program. DESVARIEUX: But, Nicole, what about Wall Street? Wasn’t there a push to reform Social Security by those on Wall Street? WOO: You might–that’s a good question. Back in the Bush years, you might remember, there was a push to privatize Social Security, and that was taking money out of the trust fund, or future–or revenue that people would putting with their taxes would not go into the trust fund and instead would go to the stock market. And that was back in the mid 2000s. Could you imagine if that had happened and that Social Security money had been in the stock market right before the crash? We would have such a larger retirement crisis now than we already do. And certainly Wall Street would make a lot of fees if millions and millions of American workers’ retirement money that’s now in Social Security went into the stock market and other Wall Street vehicles. So certainly they are behind any sort of push to either privatize Social Security, move more money into the private industry, or to just sort of push out ideas and concepts about Social Security being in crisis, because if people believe there’s a crisis, then they’re going to say, oh, well, maybe we should go with the private market. But the fact is that Social Security is one of the best investments out there. The fees are very low because the trust fund is in U.S. Treasury bonds. They’re very safe. And the fees are not like what you would get in a 401(k). So, in many ways Wall Street and the financial industry have an interest in sort of scaring people about Social Security and eventually moving that money into the private sector. DESVARIEUX: Alright. Nicole Woo, joining us from Washington, D.C., thank you so much for being with us. WASHINGTON (The Borowitz Report)—President Obama is courting controversy with his decision to address a group that has become dominated in recent years by extremists. Some have questioned the appropriateness of the President speaking to such an extremist group, especially because it has issued threats against the United States government in recent years. As recently as 2013, for example, the extremists threatened to shut down the entire federal government if their demands were not met. On Tuesday afternoon, the White House defended the President’s decision to speak to the extremists, pointing out that the Administration had also initiated dialogues with Iran and North Korea. Exporting crude oil and natural gas from the United States is among the dumbest energy ideas of all time. The U.S. imports almost half of the crude oil that we use. We import 7.5 million barrels per day. 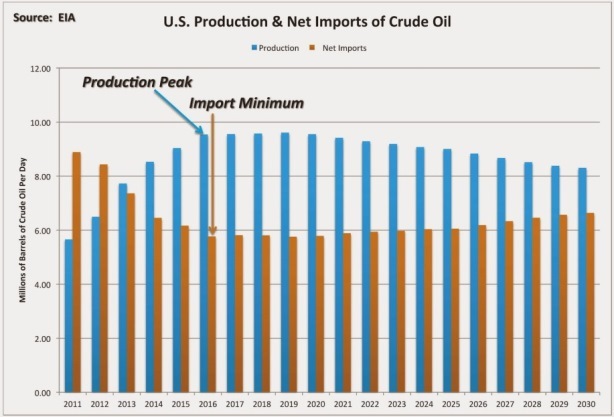 The chart below shows the EIA prediction that production will slowly fall and imports will rise (AEO 2014) after 2016. This means that the U.S. will never be self-sufficient in oil. Not even close. What about the tight oil that is produced from shale? That’s included in the chart and is the whole reason that U.S. production has been growing. But there’s not enough of it to keep production growing for long. 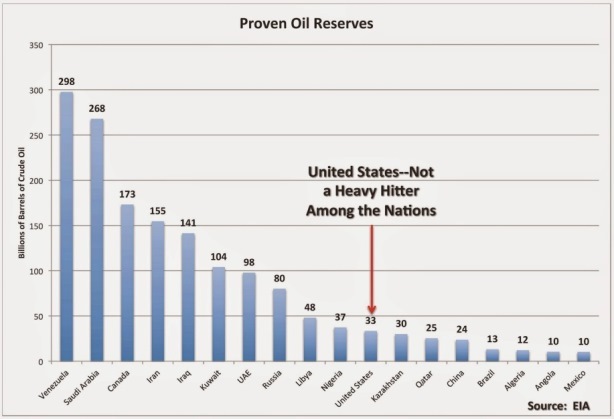 Here is a chart showing the proven tight oil reserves just published last month by the EIA. Total tight oil reserves are 10 billion barrels (including condensate). The U.S. consumes about 5.5 billion barrels per year, so that’s less than 2 years of supply. Almost all of it is from two plays–the Bakken and Eagle Ford shales. 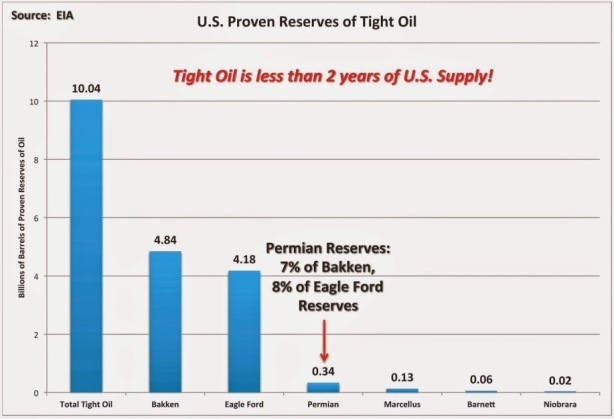 We hear a lot of hype from companies and analysts about the Permian basin but its reserves are only 7% of the Bakken and 8% of the Eagle Ford. Tight oil comprises about one-third of total U.S. crude oil and condensate reserves. The U.S. is only the 11th largest holder of crude oil reserves (33.4 billion barrels) in the world with only 19% of Canada’s reserves and 12% of Saudi Arabia’s reserves. In other words, the U.S. is a fairly minor player among the family of major oil-producing nations. For all the fanfare about the U.S. surpassing Saudi Arabia in production of crude oil, we are not even players in reserves. What that means is that we may temporarily pass Saudi Arabia in production because it chooses to restrict full capacity, and U.S. production will fade decades before Saudi Arabia’s production begins to decline. • The U.S. will never be oil self-sufficient and will never import less than about 6 million barrels of oil per day. • U.S. total production will peak in a few years and imports will increase. 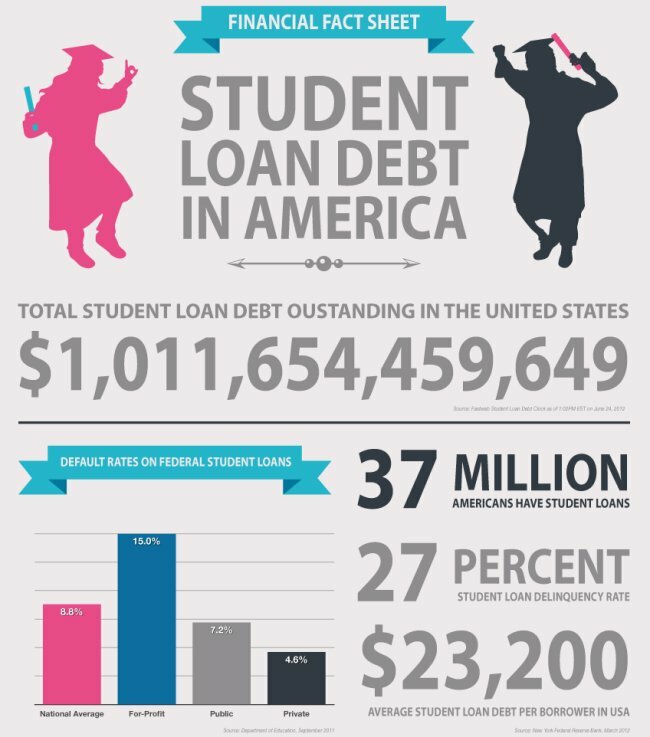 • The U.S. is a relatively minor reserve holder in the world. How does this picture fit with calls for the U.S. to become an exporter of oil? Very badly. For tight oil producers to become the swing producers of the world? Give me a break. Perhaps we should send congressional proponents of oil export like Joe Barton (R-TX), Ted Cruz (R-TX) and Lisa Murkowski (R-AK) to “The Shark Tank” TV show to try to sell their great idea to the investors and judges.